You visit the famous Aloe Vera Museum and plantation where you learn how aloe vera is extracted and it’s medicinal use. Options to buy the products at a cheaper price. We take you to The Holy Mountain of "Tindaya", where traces of the ancient population were found. 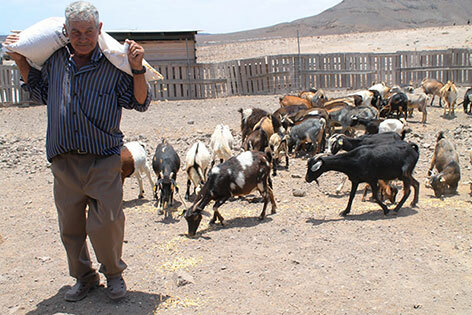 Fuerteventura is famous for its goats and its cheese, so we show you how the Fuerteventura goats cheese is made. 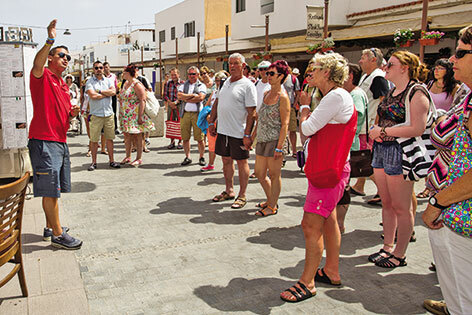 Sample this and a number of different canarian produce. 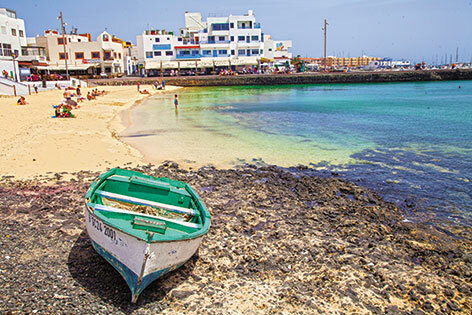 You then journey 800 meters mountainous track to reach Fuerteventura’s first former capital of Betancuria, with old cobbled streets, vibrant and colourful flowers and a chaotic past. 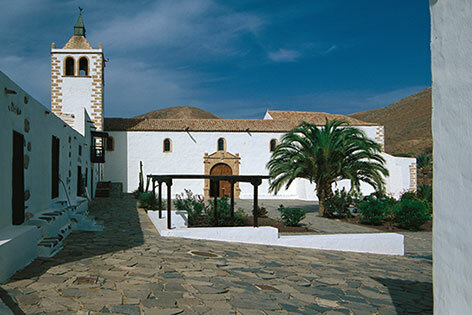 Here is also housed the first church of the island, “Iglesia de Santa María de Betancuria’. 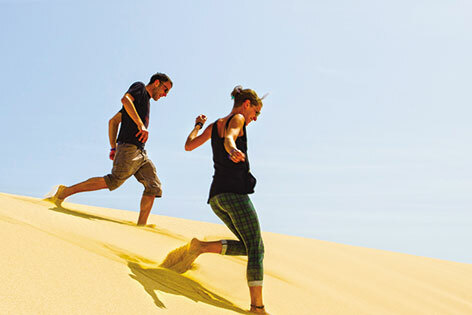 You will then travel inland admiring the beautiful sceneries heading towards the quaint and tranquil village of Pajara, where the famous 18th century church of “Virgen de la Regla” is situated. Visit the valley of St Agnes steeped in history and very picturesque, with a stunning chapple and amazing views. Lunch is on offer in the Valley of St Agnes and is optional paid locally on the day €8 per person. 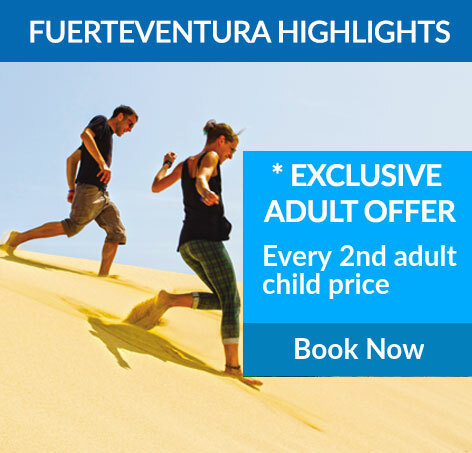 The last stop will be along the coastal route with beautiful sceneries of the contrast between the rustic brown and black volcano formations to the pure white sandy beaches and beautiful turquoise waters of the Natural Park of Fuerteventura. 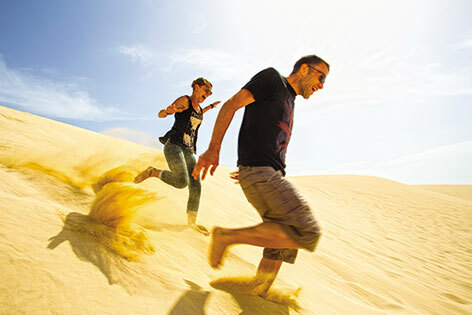 The Fuerteventura sand dunes are a must visit on the island.